The Whitley Fund for Nature is a fundraising and grant-giving nature conservation charity offering recognition, training and grants to support the work of proven grassroots conservation leaders across the Global South. Read below or download the official press release here to learn about FFC’s recent collaboration with WFN. Fashion for Conservation, Elle L and The Whitley Fund for Nature (WFN) join forces to present a sustainable runway show at the 25th anniversary ‘Hope Gala’ with a goal of raising £1 million for grassroots conservation heroes. With the support of WFN Patron, HRH Princess Royal on November 14th alongside 350 guests, Trustee Sir David Attenborough will attend and give a key note speech to mark a special moment for conservation worldwide. Embracing the need to change the face of fashion, an audience of fashion’s finest including Venetia Scott of British Vogue and Caroline Rush of British Fashion Council will come together to witness a runway show curated by FFC and music artist, Elle L. Mother of Pearl and Deborah Milner will showcase their sustainably sourced collections on the night. Hosted by BBC wildlife presenter and WFN Ambassador Kate Humble, this evening celebrates the achievements of Whitley Award winning conservationists over the last 25 years. The gala aims to raise an additional £1 million in conservation funding for these winners, with the first pledge towards this target being made by L.A. based Leonardo DiCaprio Foundation. Fashion for Conservation aims to reverse fashion’s impact on the environment. 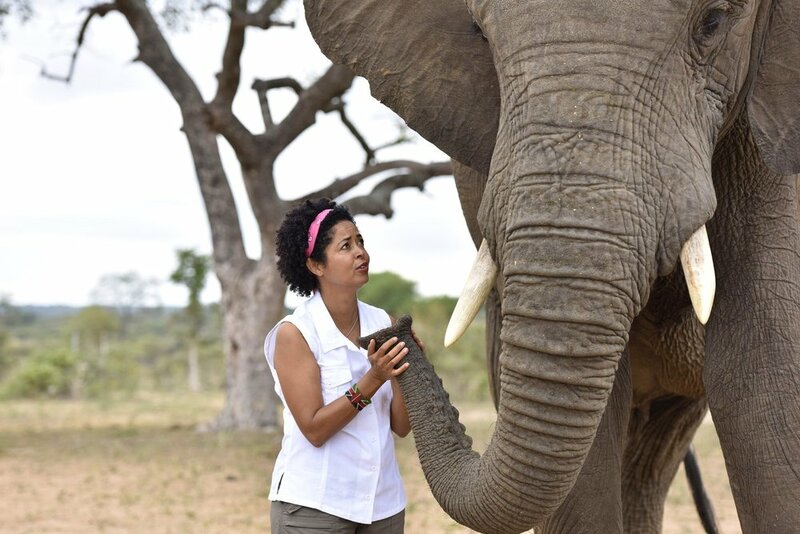 By joining forces with Elle L and The Whitley Fund for Nature, creative projects bridged directly to conservation efforts become a reality. Their shared vision marks a moment of change and hope for the future for both fashion and conservation. WFN is fundraising and grant- giving nature conservation charity offering recognition, training and grants to support the work of grassroots conservationists across some of the most biodiversity rich, resource poor places in the world. Inspired by the impact of Whitley Award winners over the past quarter century, WFN have set up a 25th Anniversary Fund. Their target is to raise £1 million to enable the charity to increase vital support to projects where funds are urgently needed to preserve endangered wildlife and wild places. Sponsors: Embargo, The Cuckoo Club, Campari, No.1 Botanicals, Es- thechoc, The Lost Expolorer, Salvari, Cohorted, Thomson & Co, Dr Rita Rakus, Emily’s Crisps, Plate. “During the last 25 years, we have helped conservationists from across the globe come together and deliver a lasting impact for future generations. Our Award winners take action and encourage action from others to address the serious challenges facing biodiversity worldwide. The Whitley Awards has given £15 million to support the work of 200 environmental heroes and protects endangered wildlife living alongside communities in more than 80 countries across the Global South. Find, recognise and fund proven grassroots conservation leaders in resource-poor, biodiversity-rich countries. Champion and repeat fund the most effective winners. Support the replication and growth of effective conservation solutions. Raise awareness of the work of winners and spread the message that we can all make a difference to the conservation of wildlife and wild places. Their winners are local environmental heroes who lead projects with passion, harnessing the best available science on which to act. Through them WFN supports work rooted in community involvement that is pragmatic and creates lasting impact.